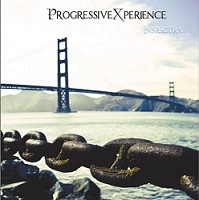 Review: "ProgressiveXperience: Inspectra" - Sea of Tranquility - The Web Destination for Progressive Music! Roger Ebert once said, about movies, that a movie is not what it's about, it's how it's about it. I look at a record like this in similar fashion; it is not so much what this is about (musically), it is how it is about it. While this is basically melodic metal with a nicely mixed set of ballads and higher energy compositions, it is also a disc that benefits from how it goes about making music. This is perhaps best exemplified in the vocal abilities of singer Giovanni Valenti. He has sort of a soulful, melodic approach to singing that works well with the 14 songs on the recording. And this marks a return to the fold for Valenti, who had left the band in 2007 for private reasons. The band does a superb job sequencing it songs. The recording varies from higher energy songs, mixed with slower ballads and instrumental pieces. The disc starts of with the instrumental "1958," a piece incorporating a slinky bass line with digital percussion, overlaid with an overdriven guitar line. "Madness of Illusion" is more of a standard melodic metal piece, but it moves from slower parts to faster and back again several times. "Inspectra," the title song, uses an orchestral sound and both acoustic and electric guitars to set its somewhat somber mood. "San Francisco" is a more traditional rocker, whose sound is heightened with the use of acoustic piano. "Into Abeyance" is dark, and based around an echoed bass line. This is a fine follow-up to 21st Century Brain Damage. Metalheads should love, this, and this should also appeal to those who enjoy good prog metal.